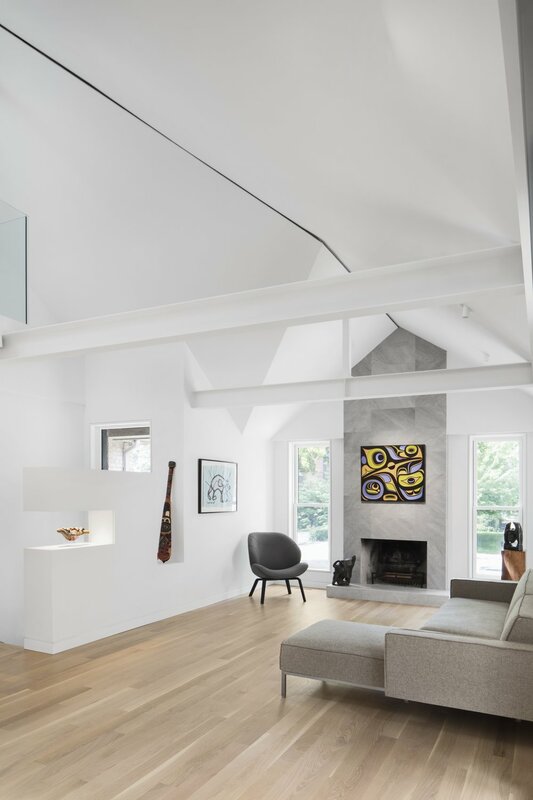 "Single family home renovation in Toronto’s Russell Hill for clients who actively collect Canadian Inuit art. The main space originally had a flat ceiling with a triangular shaped attic above. 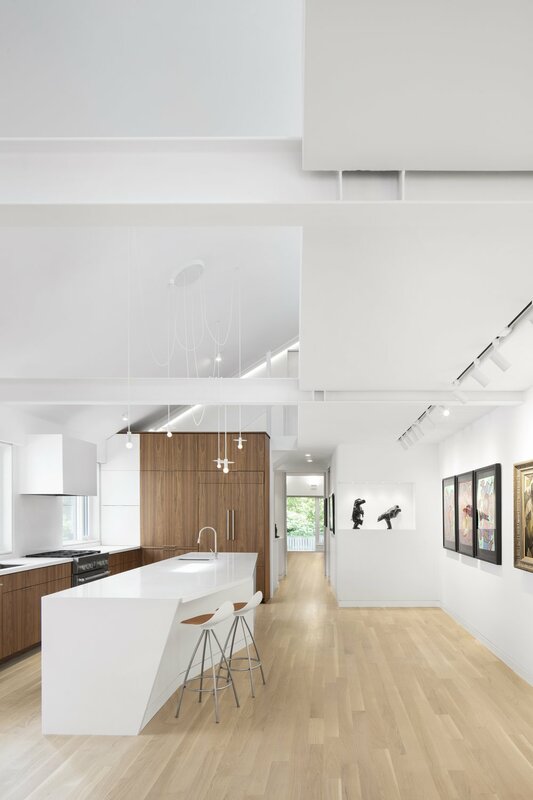 The ceiling was removed and a mezzanine added, requiring substantial structural changes to the house. 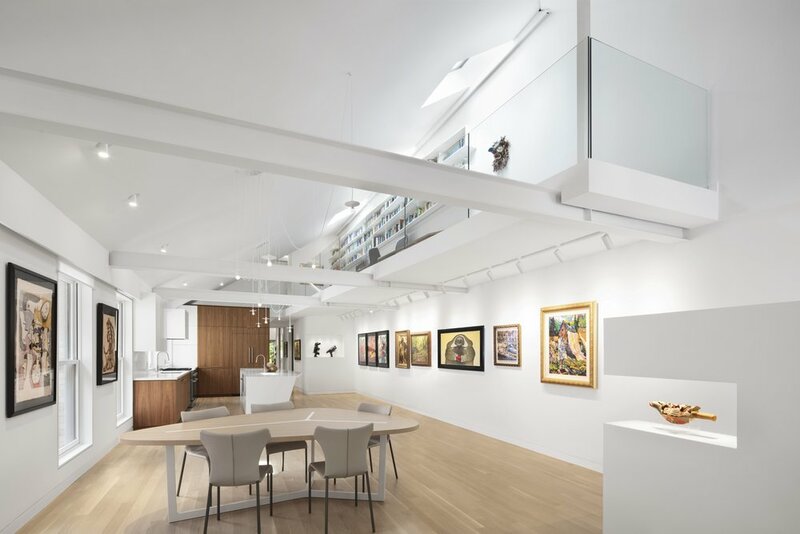 The mezzanine now serves as an office space overlooking the living area where the clients’ main collection is displayed. 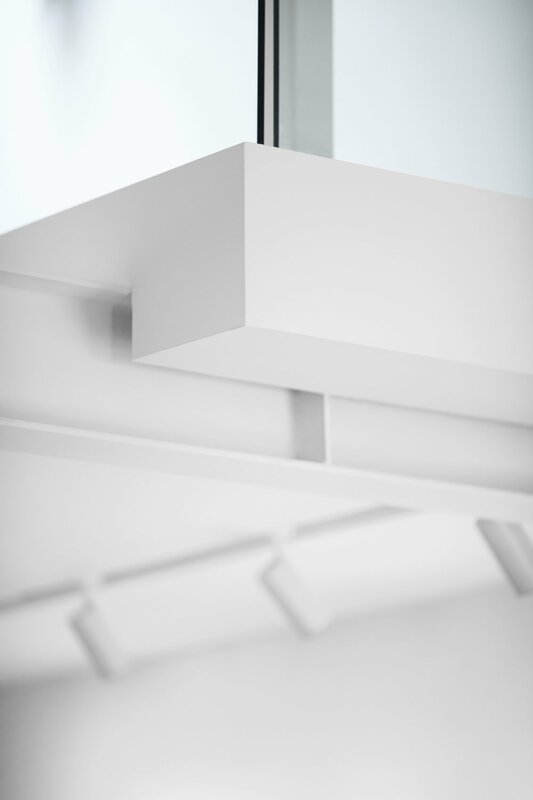 The crisp white palette and geometry reference the bright landscape of the arctic where the clients have traveled extensively."